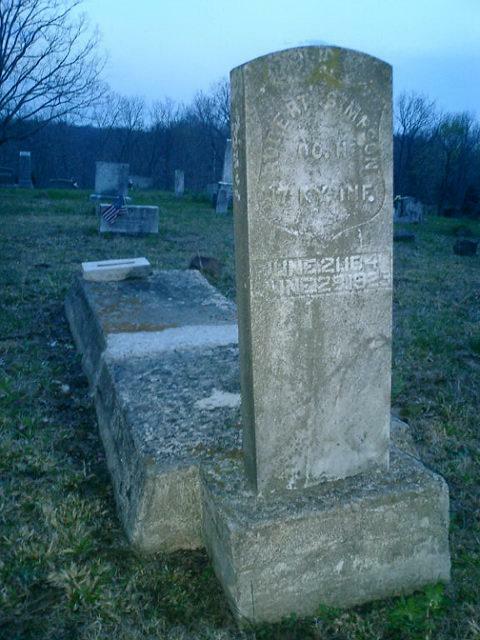 Robert Simpson enrolled in the 17th Infantry on October 3, 1861. He was mustered in on January 4, 1862 at Calhoun for a three year enlistment in Company D prior to consolidation, then Company H. He was mustered out with his unit on January 23rd 1865. There were no other remarks in the Adjutant General's report. There are two grave marked John Warren of Company A. John L. and John Logan. However there is only a John L. Warren listed in the AG Report.